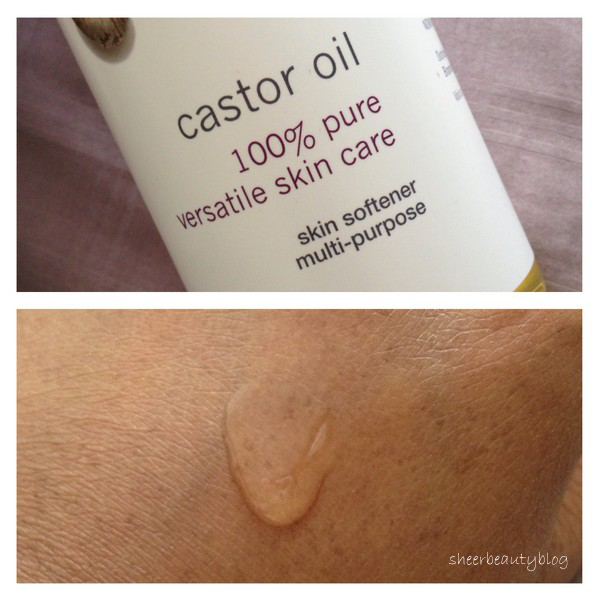 Today I'm sharing with you all a post about castor oil which I'm very excited to share with you all. I have been using this oil since early December and I really love this stuff. Here is some information that I have gathered up about what castor oil actually is. Castor oil is full with Vitamin E, minerals and protein. As well castor oil has anti-bacterial and anti-fungal properties. This is a vegetable oil from the castor seed. Now Solutions castor oil is a multi-purpose oil for the skin and hair.100% pure castor oil is pressed from the seed and is tasteless as well as odorless. Castor oil is considered to be one of the finest natural skin emollients. There are also tons of other benefits that I didn't list which are beauty related and others that are not. I personally have experience some great results with using this oil. When I first got this oil I read online about a hair challenge called grow your hair an inch in seven days. Which you're to apply castor oil to your scalp for seven days and message it in for 4 minutes at night. I did just that however I only did it for 6 days and my hair grew a nice amount I was so surprised. My hair grew from the longest point which was 28.4 inches to 29.5 inches in seven days. As well I noticed my hair looked thicker and shiny. I have also been using this on my brows and lashes since I got this oil. As the reason I got this oil in the first place was because two of my favorite You Tubers mad a video about using castor oil to help grow and thicken their lashes and browns. I have notices my brows look a bit thicker as well a little bit of thickness I have notice for my lashes. As far as length of my lashes I don't think I have seen them get longer yet. But I know it will take longer to see those kinds of results. And last I have also used castor oil to help with joint pain. In December I had really bad pain my knee hurt really bad when I would bend it as well my whole right leg felt numb. Nothing the doctor gave me helped and then I saw that castor oil can help for joint pain so I tried this. I have to say in a day I noticed little bit of a difference and in a week I noticed even more of a difference. In maybe 3 weeks of using castor oil on my leg ever day it felt better the numbness was the first this that went away and the pain in my knee took a bit longer to heel. Now Foods Solutions Castor Oil 16 fl oz is available at iHerb.com which is where I bought mine because they ship worldwide. You can get this also from Amazon.com but they only ship this product to the US. Also when you place your first order you can get $5.00 off your order which is what I did, as I also bought two more oils almond oil and coconut oil which I will also share details about these two oils at a later date. 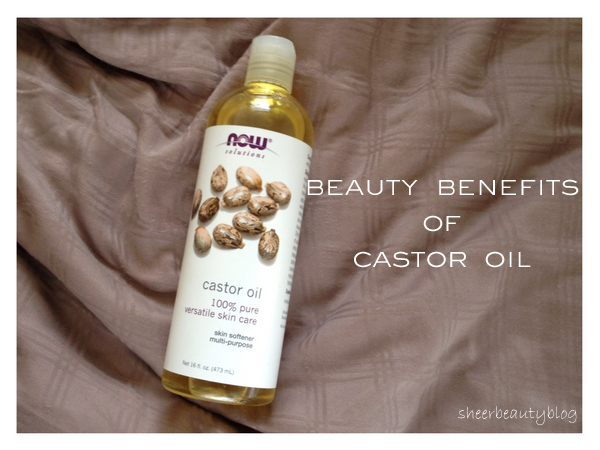 Have you ever used castor oil before? Oh my gosh, I can't believe the results you've had with hair growth from using this oil! Might have to give this a go, as I've been on the hunt for something that will make my hair fuller. Thanks for the review! I've heard of castor oil. Never used it myself though. Looks like it's full of beneficial components. I currently use avocado oil, but would love to give this a try. I hope it doesn't clog pores. I have also read great things about avocado oil, how do you like it? Interesting, I've never seen or heard about this...Usually I use shea butter oil. I own castor oil too! I didn't know it can be used for so many purposes! I just mainly use it for oil cleansing :) thanks for the ideas and tips! new follower here! I know that castor oil has a lot of benefits like a good moisturizer and suitable for acne. But I did not know that it can also promotes hair growth. Maybe I should check iHerb for this castor oil if this product will be suitable for me. If not, I will check the online shops for this. Thanks for the nice review.